PRK (Photorefractive Keratectomy) and LASIK (Laser Assisted In Situ Keratomileusis) are two similar laser vision correction procedures. 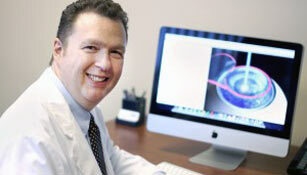 Both procedures improve vision, but achieve results in slightly different ways. Below highlight the differences and similarities between these two common procedures to help you get a little familiar with these procedures. Of course we will help you with more in-depth discussions during your visit. How Are PRK and LASIK Similar? Both PRK and LASIK are safe outpatient procedures. Patients must be age 22 or over to undergo either procedure, and their vision prescriptions must be stable for at least one year prior to the surgery. Each procedure involves reshaping the cornea, which improves the eye’s ability to see clearly because the newly shaped cornea can better focus the light entering the eye. LASIK and PRK are used to correct near-sightedness (myopia), far-sightedness (hyperopia), and astigmatism. After the procedure, patients can begin to notice improved vision as soon as 24-hours later. It’s normal for the eyes to feel irritated and to feel like they have something in them while they are healing. Dr. Tracy will prescribe eye drops and medications to help the eyes heal and to alleviate pain or discomfort. How Are PRK & LASIK Different? LASIK involves creating a circular flap in the cornea with either a laser (the Intralase femtosecond laser) or a blade (called a microkeratome), leaving a hinge on one side, which remains attached to the rest of the cornea. The flap is then pulled back to reveal the underlying corneal tissue. A second laser (the Excimer laser) is then used to reshape the cornea. Finally, the flap is placed back on to the cornea. It takes between 1 and 3 days to heal after LASIK. However, vision continues to improve and stabilize over the course of the next few months. PRK involves brushing away the thin, outermost layer of the cornea (called the epithelium) to expose the corneal tissue underneath. Then the same laser that is used in LASIK (the Excimer laser) is used to reshape the cornea. The epithelium grows back naturally, which usually takes about 3 days. A bandage contact lens is placed on the eye to help the epithelium heal properly. The bandage contact lens is removed after the epithelium has healed, at about 4-7 days after the procedure.